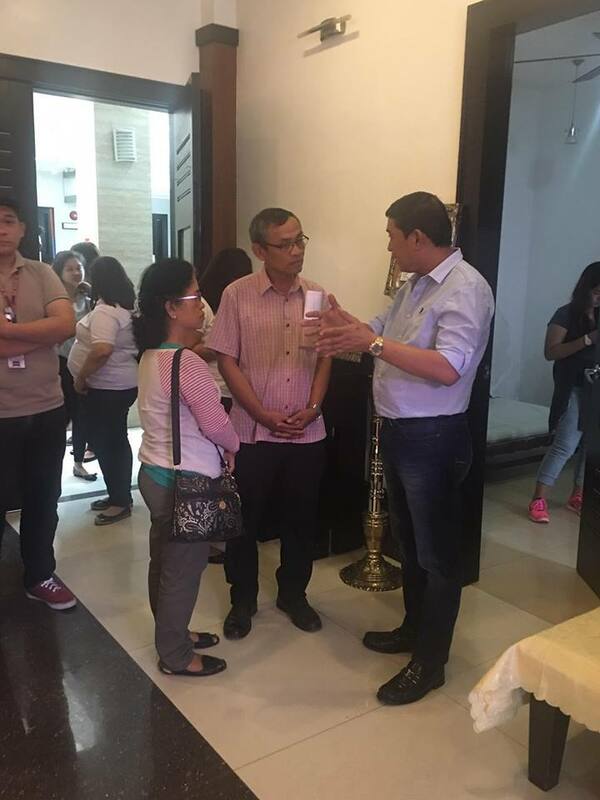 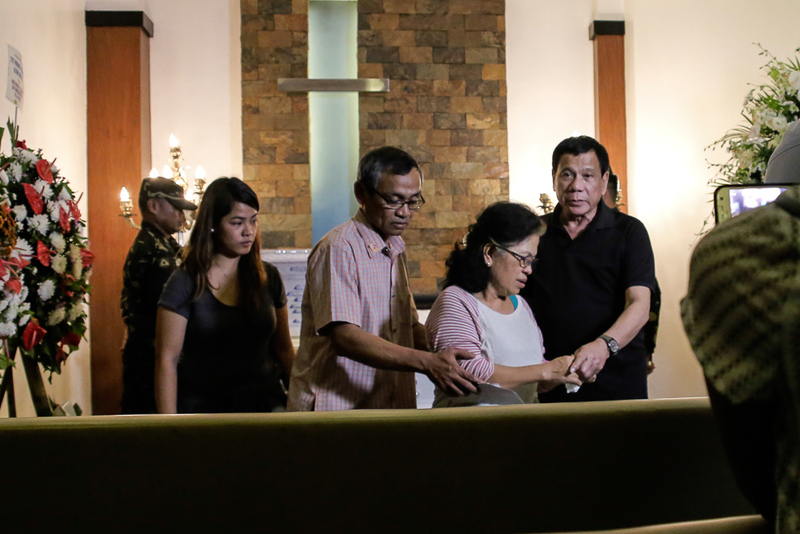 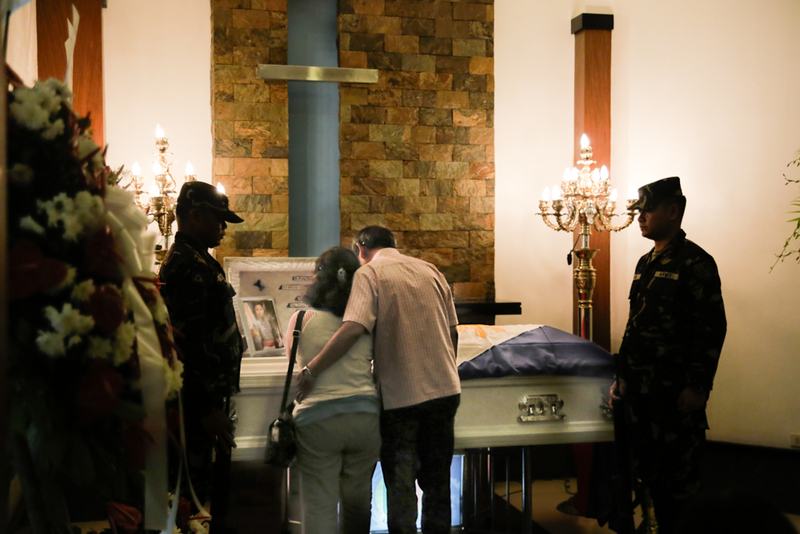 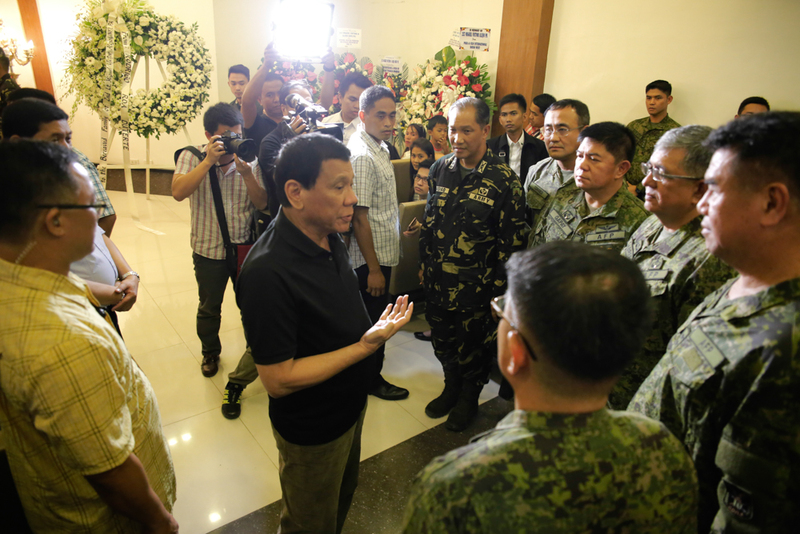 DAVAO CITY -- President Rodrigo Duterte condoled with the family of the slain army officer, 2nd Lt. Miguel Victor Alejo, during his visit at the wake on the night of February 3, 2016 at St. Peter Funeral Homes in Panacan, Davao City. 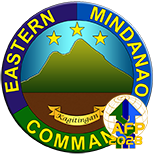 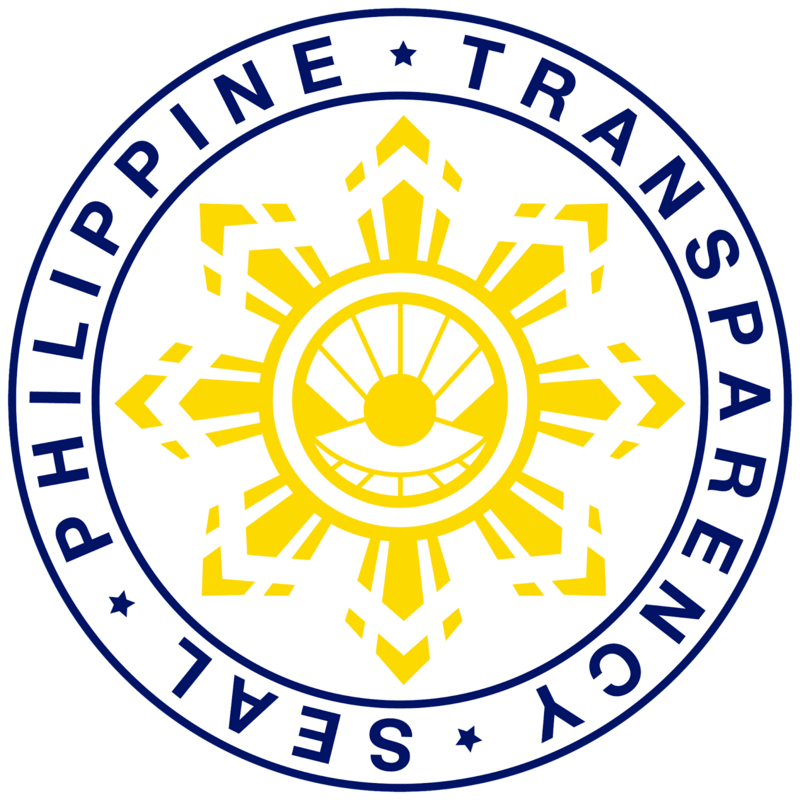 The President was accompanied by Governor Nelson Dayanghirang of Davao Oriental, Lt. Gen. Rey Leonardo Guerrero, Commander Eastern Mindanao Command, Commander 10th Infantry Division Major General Rafael C. Valencia and Acting Commanding General of the Philippine Army Major General Harold Cabreros. 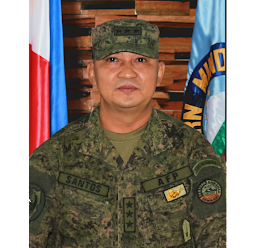 2nd Lt. Alejo, a junior officer of the 67th Infantry Battalion, 10th Infantry Division, Philippine Army, was killed by the Communist New People's Army while responding to distress calls of residents in the hinterland village of Lambog, Manay, Davao Oriental last February 1. 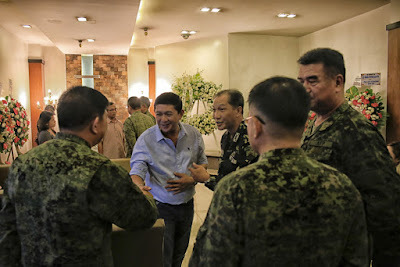 On same occasion Governor Dayanghirang offered his condolence to the family and praises the bravery and heroism of the slain officer and the soldiers in executing their duty of protecting the community. The composite team of soldiers and police officers led by Alejo were on their way to respond to the request of the Provincial Local Government to restore law and order in Barangay Lambog and Rizal, all of Man-ay, Davao Oriental when they were gunned down by the lawless group leading to his death and the wounding of Private First Class Peter Sumatin. 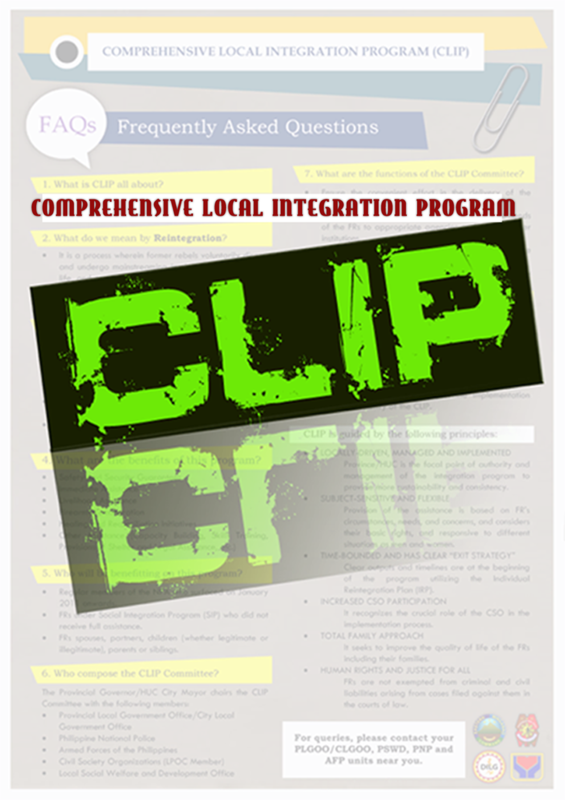 Prior to the incident, the residents, fled for safety and left their homes and livelihoods and plead for help over the relentless threats and extortion activities of the NPAs, which they say have negatively affected their lives.